Color, 1965, 99 mins. 2 secs. Color, 1965, 96 mins. 33 secs. 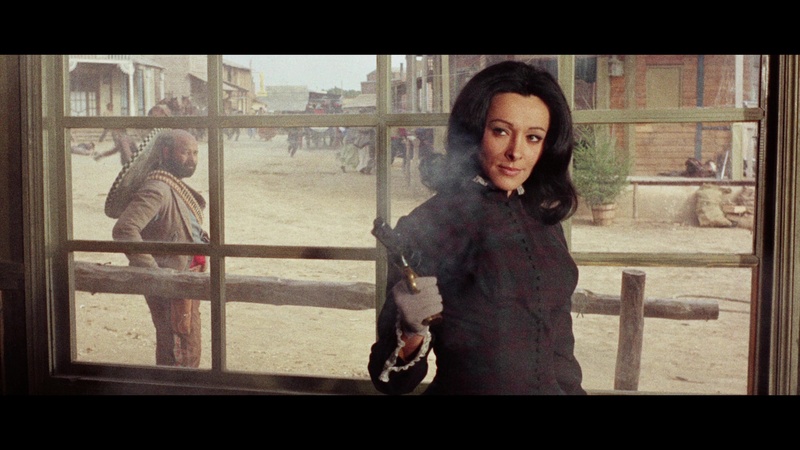 The tidal wave of European westerns made in the wake of 1964's A Fistful of Dollars produced dozens of bona fide classics, and credit for one of the first to successfully cash in on the craze was the Italian one-two punch of A Pistol for Ringo and The Return of Ringo hurried out to theaters in 1965. 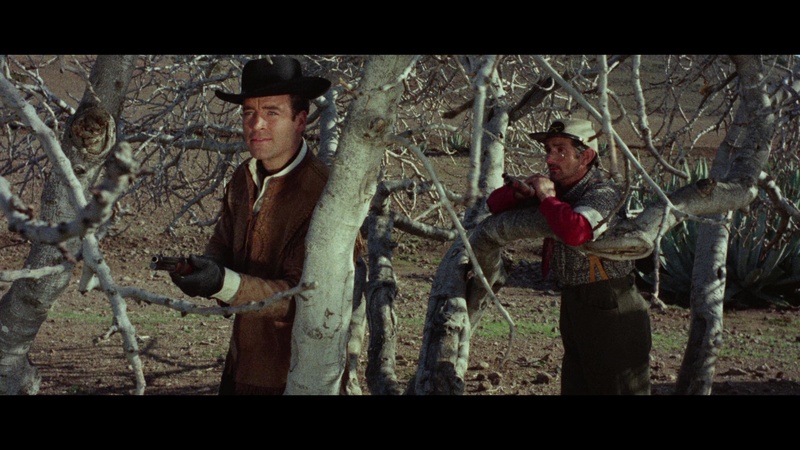 Featuring the same primary cast and both directed by Duccio Tessari (a sword and sandal screenwriter who later helmed The Bloodstained Butterfly and the Alain Delon version of Zorro), the films didn't make as much of a splash in America as the Clint Eastwood vehicles but turned out to be a major smash almost everywhere else. 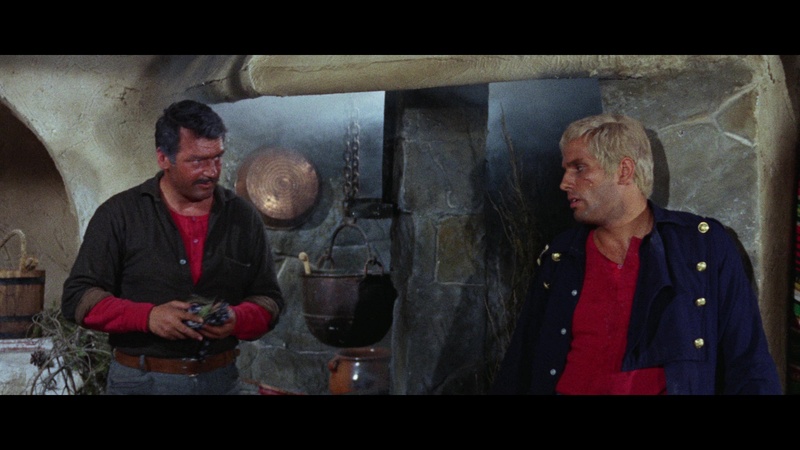 The title role of "Angel Face" Ringo also made an instant star out of Giuliano Gemma (under the name "Montgomery Wood"), who became a spaghetti western fixture for years and would go on to star opposite Bud Spencer in two films as well as Dario Argento's Tenebrae. 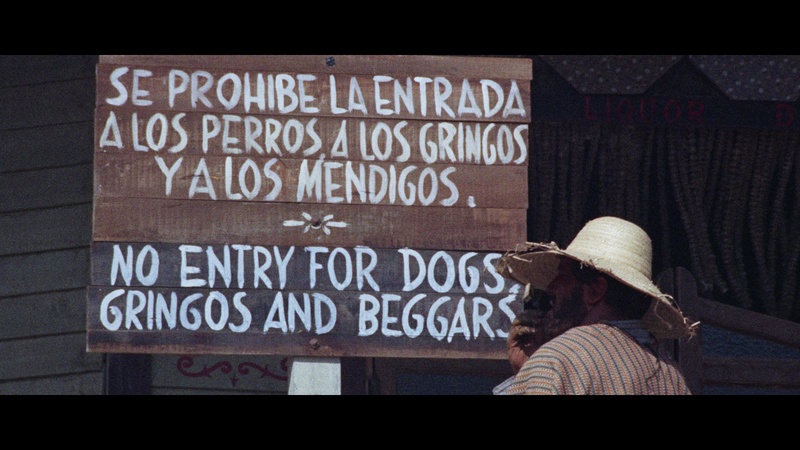 In A Pistol for Ringo, a bank robbery gone awry leaves the ringleader (Sancho) of a band of unruly Mexicans with a debilitating gunshot wound. Seeking shelter at a nearby homestead, they end up taking the inhabitants hostage including Miss Ruby (De Luca), who's engaged to the local sheriff (Martin). Law enforcement turns the best available gunslinger, Ringo, to take care of business since he's just been jailed after killing four men in a San Jose showdown. Mercenary but agreeable, Ringo finds the mission more than a little complicated when he steps into the nest of bandits. The formula gets refined with interesting results in the more ambitious The Return of Ringo, which features a main character named Ringo but doesn't have any direct narrative ties to the first film. The same main cast members are shuffled around in different roles as well, which makes for a fairly surreal viewing experience. This time Ringo's just come home from the Civil War only to find his wife, Helen (De Luca), kidnapped by the nefarious Esteban (Sancho) and Paco (Martin). Disguising himself as a Mexican bandit, he soon discovers another surprise about his family and decides to rally any available townspeople to help him end this evil takeover. 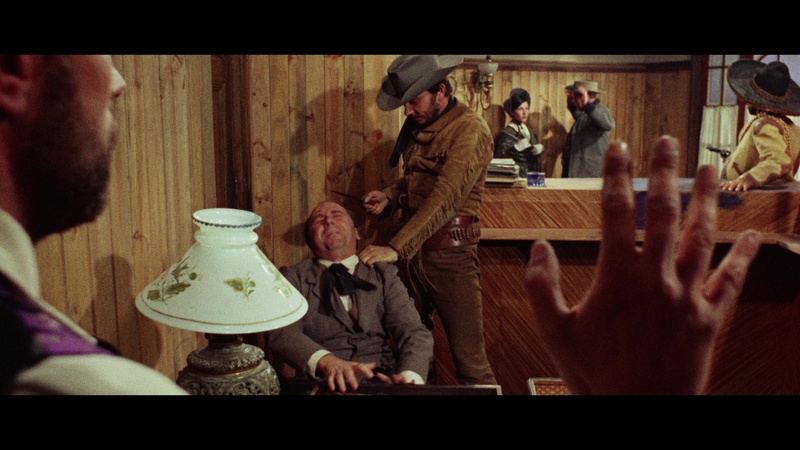 Pure catnip for spaghetti western fans, both films are nicely mounted with solid scripts (courtesy of Tessari himself) and, most importantly, top-notch scores by Ennio Morricone in the midst of his "Dollars" period. Already an established actor on his way up with some marquee value, Gemma really came into his own here with a knack for deadpan humor and strong physical movement that served him well as the ingratiating gunslinger; it doesn't hurt hat he has a solid supporting cast to back him up, including the striking Spanish actress Nieves Navarro -- better known to giallo fans as Susan Scott -- who gets two different trampy roles with a bit more shading than one might expect. The first film gets surprisingly quirky at times, including the fact that it introduces its hero playing hopscotch(!) and takes place at Christmas with the entire climax adorned with holiday decorations. However, the second really flips things upside down with an unorthodox structure (requiring Gemma to radically change his appearance three times) and a mythical quality that has caused many to favor it more over the first film. A Pistol for Ringo was released in its English-language edition by Embassy Pictures in 1966, then essentially dropped from U.S. and U.K. circulation for a very long time apart from a ragged pseudo-PD version from Something Weird. Both films remained very popular in Japan where they were mainstays on multiple home video formats, but in general the soundtracks have been far more prominent and easy to locate than the actual movies themselves. In fact, it was eventually easier to find some of the later knock-offs like Ringo and His Golden Pistol (from Warner Archive) than the ones that started it all. That situation changed for the better in 2013 with German DVD releases of both films and, even better, in 2018 with Arrow Video's Blu-ray release pairing them up for both the U.S. and U.K. Both films look very impressive and much improved over past editions, with the landscape shots in particular boasting a significant up-tick in detail. Film grain has been left intact with mostly positive results, though some of the more intense blue sky shots can have a bit of that swarming mosquito effect. The DTS-HD MA mono audio options include English and Italian (with optional English subtitles corresponding to both versions); in keeping with the period, both of them are dubbed and only very rarely in sync with anyone so you're fine picking either option. Audio commentaries are presented for both features with western gurus C. Courtney Joyner and Henry C. Parke, who use their expansive knowledge to draw connections to tons of other westerns (3 Godfathers gets an early shout out for good reason), note the conventions being tweaked here, and go into the rapid shooting and release of the sequel by the end of the same year just before Django came along and changed the game again. 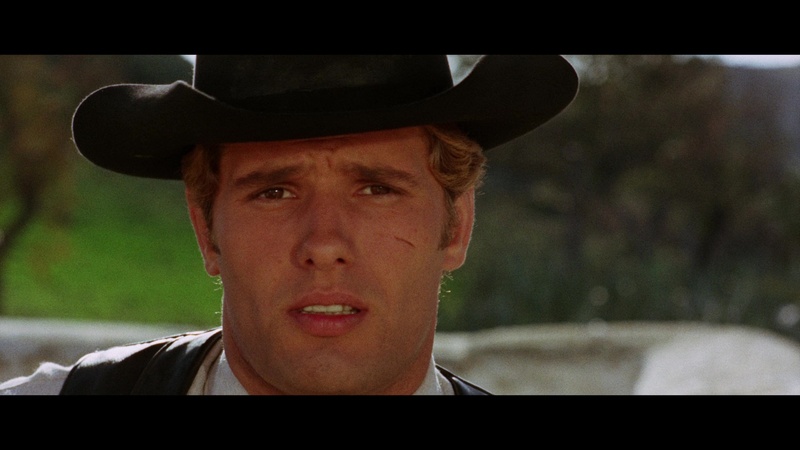 In "Revisiting Ringo" (37m56s), critic Tony Rayns takes a lengthy look at the films contextualized within the growing trend of Italian cash-ins on recent hits, the heavy demand for genres like westerns and horror, and the suitability of Tessari for this gun-for-hire environment. The archival "They Called Him Ringo" (21m52s) from the German release features Gemma and De Luca (Tessari's wife) recalling the director's penchant for comedy, their own breaks into acting (including Gemma's gig on Ben-Hur), the weirdness of that Montgomery Wood pseudonym, warm memories of producer Angelo Rizzoli, and Tessari's uncredited work on A Fistful of Dollars. 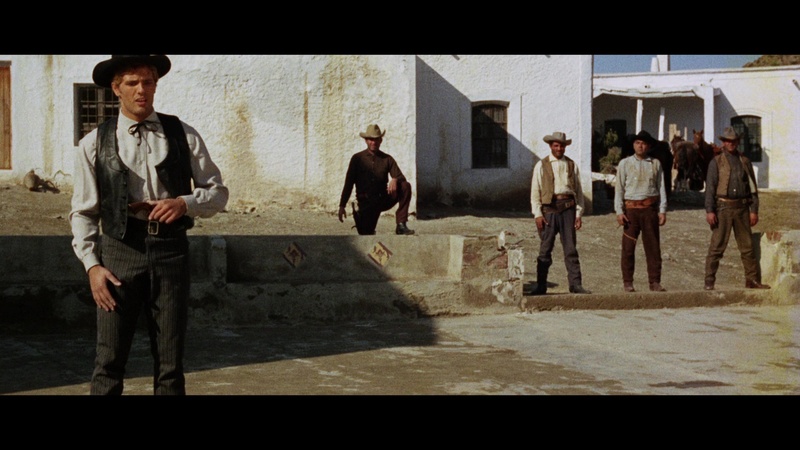 Also ported over from the German release is "A Greek Western Tragedy" (26m32s) with De Luca and camera operator Sergio D'Offizi noting the heavy influence of The Odyssey on The Return of Ringo (originally written as The Odyssey of the Long Guns, appropriately) and remembering everything from freezing hotel showers in Spain to the contributions of Fernando Di Leo. (The lackluster appearance of the film clips in these two pieces should give you an idea of how these looked until now.) The U.S. and German trailers for A Pistol for Ringo are included, plus the U.S. and Italian ones for The Return of Ringo and a gallery of 99 promotional images. Reviewed on May 3, 2018.